The pre-World War II numbers are staggering: Vilnius' Jewish population was nearly 100,000, about forty-five percent of the city's total. The country was strewn with some two hundred Jewish communities sustaining the lives and livelihoods of about 240,000 people. 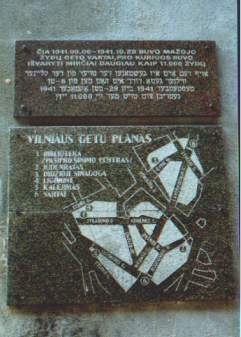 Vilnius had 105 synagogues and prayer houses. There were six daily Jewish newspapers. Yiddish was the language of choice. Indeed, the city was aptly named The Jerusalem of Lithuania. The post-war numbers are horrifying: Only 24,000 Jews survived. Or, shall it be said, that 90 percent of the Jews had been murdered. Vilnius' Jewish population today is 5,000, a mere five percent of what it once was. The country is home to but 6,500 Jews, some 200 of whom are Holocaust survivors. Most of the two hundred pre-war communities were decimated, wiped off the map entirely. There is only one Jewish newspaper. Few people speak Yiddish anymore. 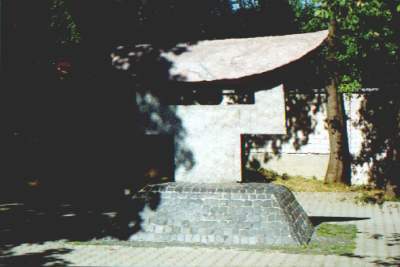 Today, there remains exactly one synagogue in Vilnius. Jews have lived in Lithuania since the 14th century. They came at the invitation of the Grand Dukes Augustus II and Augustus III, who had recognised the utility of the merchants, artisans, and traders as an integral component in the development of the nation. Jews also played important roles in diplomatic missions and defense. Over the centuries, however, the Jewish community rode a volatile rollercoaster of turmoil and peace. Throughout, the Jews of Lithuania were resilient, managing to refine a culture steeped with history, tradition, education, and family. Jews were particularly entrenched in Lithuanian society at the outset of this century, and no place was more important than Vilnius, an Ir ha-em, or a Great Mother City. Without question, it was the axis of the Lithuanian Jewish world. Renowned scientists, teachers, writers, sculptors, and musicians made their homes here. 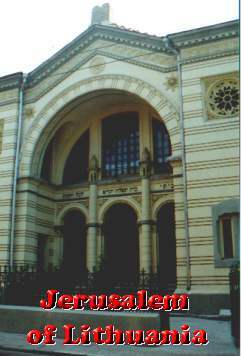 Jewish secular and religious institutions flourished, including Der Yiddisher Visenshaftlicher Institut in the 1920s and 1930s, which published countless scientific works. Vilnius was selected to be its headquarters. Albert Einstein, Sigmund Freud, and Marc Chagall were honourary members of the board. From the 16th century, the yeshivot developed a particular method of teaching known to this day as the "Lithuanian Yeshivot." In the 18th century, The Great Gaon of Vilnius, Elijah ben Shlomo Zalman, attained guru status, esteemed as one of the world's greatest thinkers and authorities on Torah and Talmud. In the 19th century, Vilnius was the center of the Jewish Labour Movement led by the Bund, or socialist party, which strove to secure equal civil and political rights, including better than squalid living conditions. The party also educated the working class in self-defense and how to resist fascism. By the start of the 20th century, a Jewish renaissance was rising. In addition to the scads of synagogues, libraries, schools, theatres, museums, medical facilities, scientific institutions, and publishing houses were established. Yiddish was soundly the lingua franca. Moreover, it was regarded as a secular culture and therefore an alternative to traditional Judaism. Built in 1903, Torat Hakodesh Synagogue survived the war because the Nazis used the edifice as a medical store. It's a rather grand, modern-looking synagogue capped by a depiction of the tablets of the Ten Commandments. "A house of prayer is a holy place for all peoples" is inscribed in Hebrew above the door. 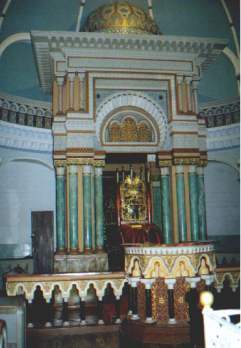 To the right of the bimah, the floorboards had been ripped up for some repairs. The long, upright pew-like benches appeared worn. The dull lighting exuded a jaded ambience (spruced up considerably by the vigor of the thirteen over-70 male voices in the congregation). But hidden beneath that veil of murk was a bimah of considerable decor and ornamentation. There is no ordained rabbi in Vilnius but Rabbi Shmoel Kahn comes from London every few months for about a week at a time. Another rabbi, also from London, had recently died. Between visits, Rabbi Kahn organizes aid from Israel, usually securing six month visits by members of Chabad, an international movement to raise the Jewish consciousness of world Jewry. The first synagogue in Vilnius is said to date to 1440, and came to be known simply as The Old Synagogue. The streets adjacent to the building quickly became the center of the Jewish quarter; the road running directly to the synagogue was dubbed Di Yiddishe Gas, or Jewish Street. Today, Zydu Gavte, or Jewish Street, and Gaono, named for the Gaon, remain. There are few other reminders of this area left save for a few derelict buildings situated on prime real estate in the heart of the Old City. In 1663, a new stone synagogue replaced the old wooden one and came to be called the Great Synagogue. Its interior was said to be opulently adorned. In 1944, the building was heavily damaged and was completely razed following the war. The light of the community, it seemed, had been quashed with the Great Synagogue. The streets were also the sites of two Ghettos, which were sealed on 6 September 1941. The smaller of the two lasted only six weeks but long enough to massacre 10,000 people in a wooded area called Paneriai, some ten kilometers from the city. Thousands more (perhaps 70,000 in all) were served a similar fate. Even before the Ghettos were established some 10,000 Jews had been murdered in the capital. There were 29,000 people caught between the Ghettos, the larger of which was liquidated on 23 September 1944. It was only then that the remaining 8,000 or so survivors were herded off to death camps in Poland and concentration camps in Latvia and Estonia. On 8 May 1990, shortly following Lithuania's regained independence, the Supreme Council of Lithuania issued an official "Statement on the Jews." It said, "[We] unconditionally denounce the genocide on behalf of the Lithuanian people...Crimes against the Jews in Lithuania and elsewhere could not be justified by any means and that immortalizing the Holocaust victims' memory was the concern of the Lithuanian State." There is perhaps no better manifestation of the Council's commitment to its own words than the continued support of The Jewish State Museum of Lithuania, which had been established with the advent of perestroika at the end of 1987. Having a state status rendered it (and the community) protected under law. State recognition has yielded a great harvest: additional state supported institutions have been created; Jewish history and philosophy classes are available at the University of Vilnius; the preservation of Jewish books and documents is taking place at the Central State Library; there are Jewish schools; there are various clubs for young and old, including one for ex-Ghetto and camp prisoners; and the Jerusalem of Lithuania newspaper is published in four languages. Jewish Museums in Vilnius have been as integral a component of the community as any other since the first one was opened in 1913. All share a common thread of commitment to the preservation of a heritage by staff and researchers. The first museum's priceless collections were virtually all destroyed during World War II. The second museum was established in 1944 but was short-lived, closed on 10 June 1949 at the hands of the Soviets during their campaign against "Cosmopolitanism and Zionism". Today's exhibitions are divided between the museum's main building and a smaller annex on a shaded hill a few minutes' walk away in a house-like building known as The Green House. The exhibits are thoughtful and varied, depicting the richness of the Lithuanian Jewish ways of life and death. Catastrophe tells the story of the Holocaust generally with a focus on local victims. One can learn about the first German and Lithuanian restrictions inflicted on the Jews as well as read pieces of a report by Karl Jager, Head of the Security Police, who outlined the executions of thousands. Other exhibitions include They Lived in Vabalninkas, In Memory of thGreat Synagogue, Judaica in Wood Carvings, Jewish Fighters For Lithuanian Independence, Artists From the Ghetto, and Jewish Cemeteries - A Tormented Page of Lithuanian History. In spite of Jewish Vilnius' vitality today it is no longer a Jerusalem. But if history is our indicator, Vilnius will always be The Jerusalem of Lithuania.